Call 800-298-8924 to order Buyers Products hitch fabrication parts part number 337RT25824B or order online at etrailer.com. Free expert support on all Buyers Products products. 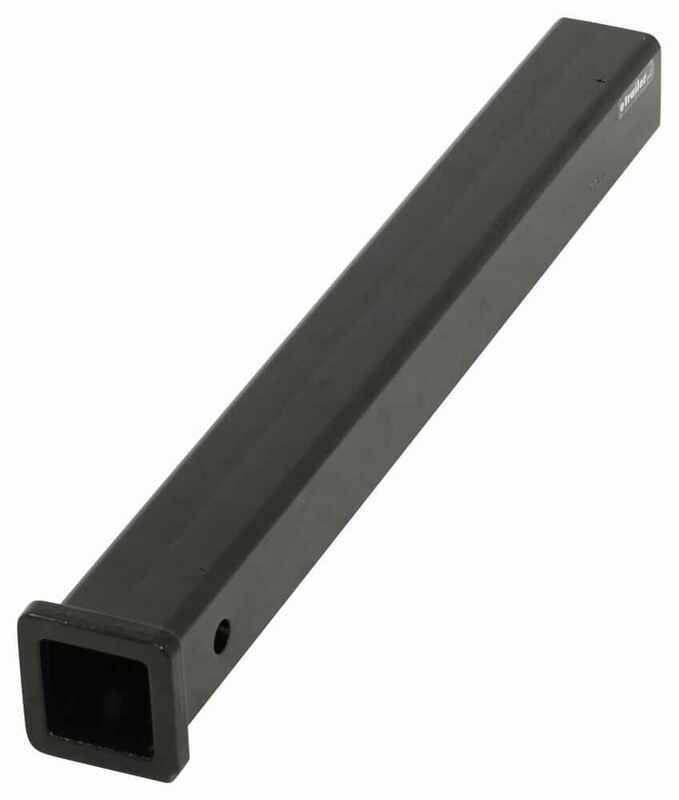 Guaranteed Lowest Price and Fastest Shipping for Buyers Products Black Receiver Tube 2" I.D. x 24" Long. Hitch Fabrication Parts reviews from real customers. Weld on Receiver Tubes from Buyers Products are available in a variety of lengths, dimensions, and finishes to match your towing needs. The 2" I.D. receiver tube features a cast steel collar and a solid stress collar opening. 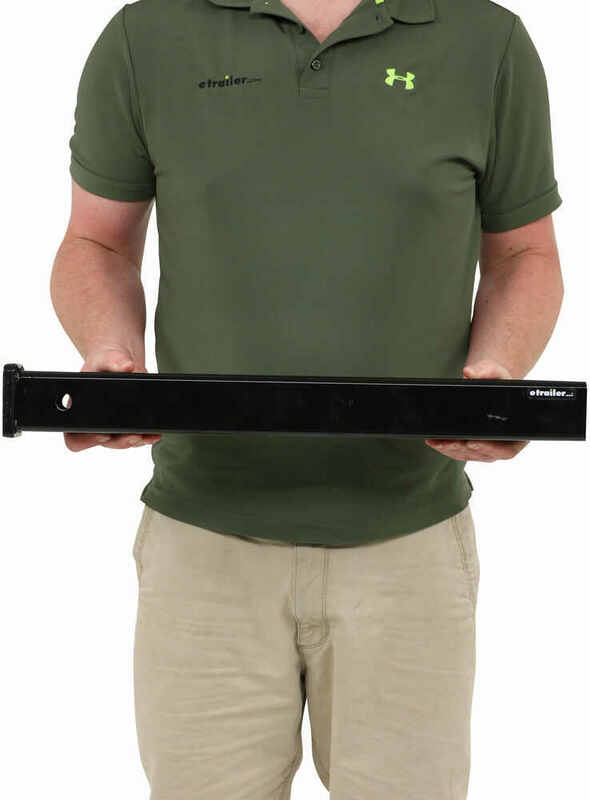 The 24" black finished tube contains a 5/8" hitch pin hole and can achieve a rating up to 20,000 lbs. 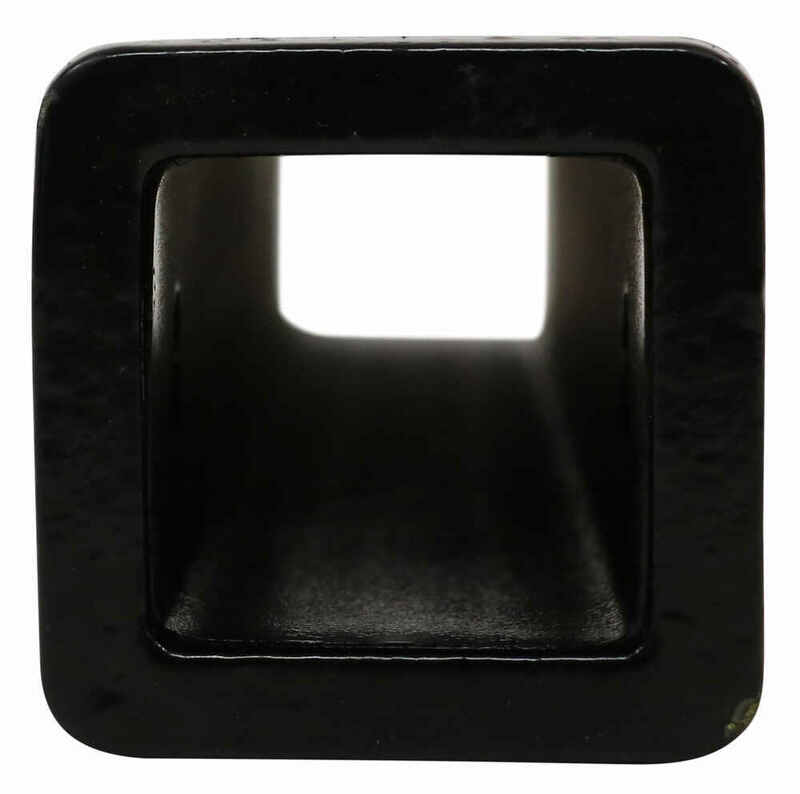 2" x 2" Receiver bar is sized and punched to fit all common weight-distributing hitch ball mounts or utility ball mounts. 24" Long with a forged collar and a raw finish. 2" x 2" receiver bar is sized and punched to fit all common weight-distributing hitch ball mounts or utility ball mounts. 36" Long with a forged collar and a raw finish. 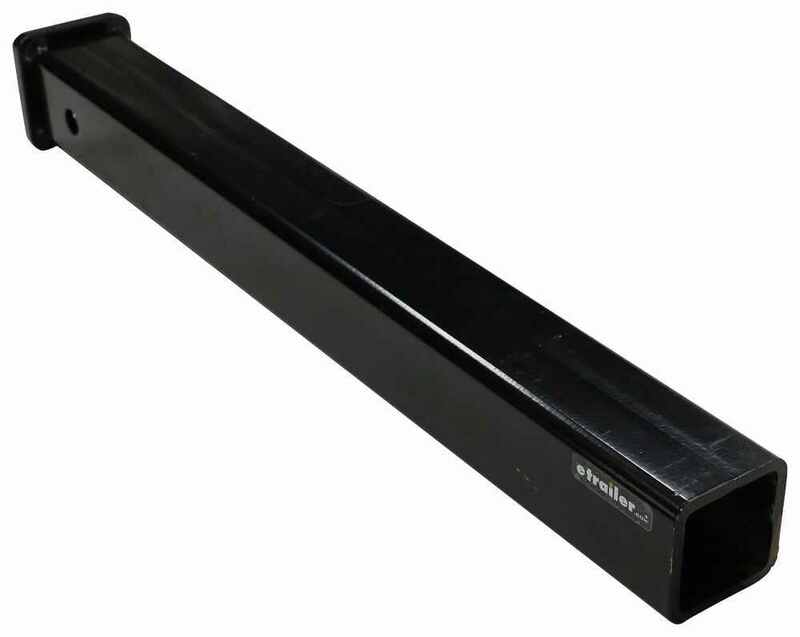 Speaker 1: Today we're going to take a look at the 24-inch long black two inch receiver tube. Now these weld on receiver tubes are available in a variety of lengths, dimensions and finishes to match your towing needs. 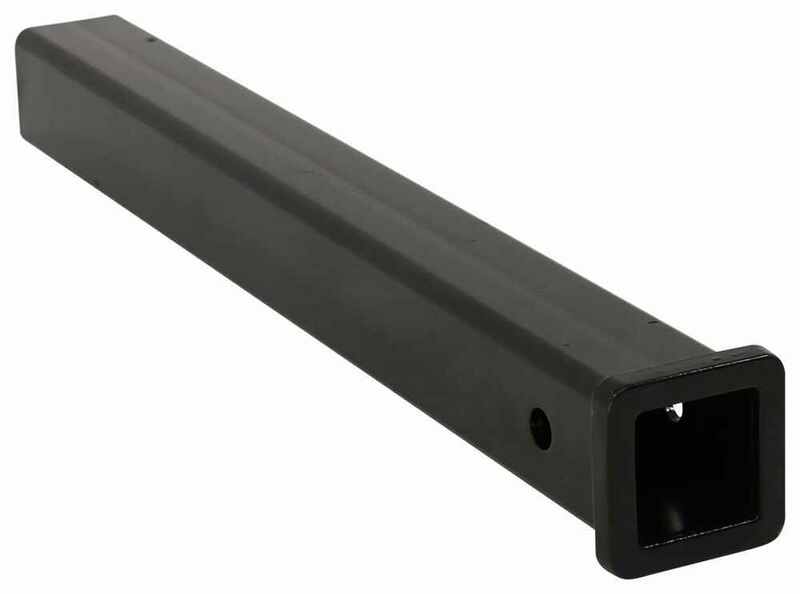 This part number happens to be a 24-inch long, black finish tube, contains a 5/8 inch diameter pin hole and can achieve a rating of up to 20,000 pounds. This two hitch receiver tube features a half inch cast steel collar around the end here and gives you a solid stress collar opening. It's make of a carbon steel construction, has a nice black powder coat finish. Maximum gross trailer weight capacity is 20,000 pounds and the measurement I want to give you is from the center of the hitch pin hole to the edge of the tube. The center to the edge is right at 2 and a half inches. That should do it for the review on the 24-inch long, black, two inch receiver tube. Do you have a question about this Hitch Fabrication Part? The outer tube width/height for the Buyers Products Black Receiver Tube # 337RT25824B is approximately 2-1/2 inches. It can vary slightly from one to the next due to the powder coating process. Highest quality hitch fabrication parts for the best price. Most detailed, accurate hitch fabrication part information available.